Improving quality of defence and security education for the whole people, including university students, is a substantial issue. Being aware of that matter, the Party Executive Committee and Directorate of the Center for National Defence Education (CNDE), Vietnam National University Ho Chi Minh City (VNUHCM) have devoted their leadership to and well executed this task, making contribution to cultivating comprehensive human resources, capable of meeting the demands of national building and defence in the new situation. Over 20 years of establishment and development, CNDE has become the largest unit nationwide in the realm of defence and security education. From its initial training capacity of 15,000 students per year, CNDE has cooperated with 23 universities and colleges in Ho Chi Minh City and some other localities within the 7th Military Region area of responsibility to deliver defence and security education to nearly 40,000 students annually. Over the past 5 years, 99 per cent of students have been graded competence, with 75 per cent of them having been classified as good and very good. These outcomes have contributed to cultivating comprehensive human resources for socio-economic development and strengthening defence and security in strategic areas nationwide. Given the recorded achievements, CNDE has been awarded two Fatherland Defence Orders (second-class and third-class) and one third-class Labour Order. CNDE Party Committee has been acknowledged to be pure, strong and an outstanding unit. It has also received many certificates of satisfactory progress given by the Ministry of Education and Training, the Ministry of National Defence, the 7th Military Region Command, VNUHCM, and so forth. In order to attain the aforementioned results, CNDE has constantly consolidated organizationally and perfected its operating regulations. Accordingly, CNDE Party Executive Committee and Directorate have led and instructed the scrutiny and evaluation of functions, missions and organizational structure of its departments and faculties, and its operating regulations defined by Law on Defence and Security Education and instructions from higher authorities, especially from VNUHCM Board of Regents and Ho Chi Minh City Command. CNDE’s current organizational structure is implemented according to Decision 411/QĐ-ĐHQG issued by the President of VNUHCM. To meet practical requirements, in 2015, CNDE set up the Department of Student Management with a view to promoting management quality, discipline compliance, and maintenance of students’ learning and activities according to military regulations, and organizing extracurricular activities for students. Apart from broadening its scope and stabilizing its organization, CNDE has seriously realized regulations on streamlining staff and personnel rotation to ensure adequate staffing and effective operation in the direction of adeptness, leanness, professionalism, reduced administrative procedures, deep decentralization, and exploiting proactiveness and creativeness of every individual and organization. To improve quality of defence and security education for students, CNDE has paid attention to the development of the teaching staff capable of meeting the required standards, and improved quality of the managerial staff. First of all, CNDE has advised and recommended Ho Chi Minh City Command to select officers with appropriate capabilities and passions for the career. At the same time, it has stepped up the cultivation of contract lecturers, sending employees to military and civilian training institutions, and “standardization” in both knowledge and pedagogic skills to meet its required tasks in the short run and the long run. Notably, CNDE has strictly carried out the appraisal process to acknowledge lecturers of defence and security education. Lecturers who wish to be assessed as “competence” by CNDE’s Science and Education Council must have experience and specialized knowledge. Every year, each lecturer is entitled to take at least one training course in their majors run by the Ministry of Education and Training, and one training course in pedagogic skills and application of information technology organized by CNDE. In addition, CNDE has maintained methodical activities and regulations on holding trail lectures and approving lesson plans; promoted emulation in “good teaching, good learning”; held “competitions for excellent lecturers”; sent lecturers to work in units and localities; and encouraged lecturers to perform self-study and update knowledge to improve their comprehensive capabilities and competence. Moreover, CNDE has regularly organized scientific workshops and seminars, and make good use of mechanisms and policies to encourage cadres, lecturers, etc., to undertake scientific research. Consequently, a number of scientific topics have been applied widely in practice, making contribution to improving managerial and teaching quality such as “Establishing students’ motivation and attitude towards study”; “Renovating content and methodologies of defence and security education for students in the new situation,” and so on. As a result of synchronous measures, CNDE has had 9 master’s degree holders and 68 graduate degree holders. 100 per cent of cadres and employees have taken training courses. Six lecturers have been acknowledged as ministerial-level excellent lecturers, and 19 lecturers have been assessed as university-level excellent lecturers so far. Defence and security subject is highly specific and delivers various difficult content within short periods of time. Thus, renewing methodologies of teaching and learning represents an urgent and vital requirement for enhancing education quality. Obviously, the renewal must be carried out on the basis of ensuring sufficient amount of content, programs, study time, compatibility with realities in each locality, and the pivotal goal of quality and effectiveness. On clearly identifying that goal, CNDE seeks to make a breakthrough in renewing methodologies of teaching and learning in the direction of enhancing creative thinking. The guidelines on renewal are to develop the student-centered approach and combine lecture and explanation with questions and answers and discussion in each group with the aim of making the best use of learners’ proactiveness and dynamics, thereby enabling the students to have a thorough understanding of the basic content, and apply it to practical conditions. Currently, CNDE has completed lesson design according to a new methodology with 100 per cent of lessons in modules 1 and 2, and 70 per cent of lesson in module 3. It is estimated that CNDE will accomplish and deliver every module according to this methodology by 2018. Given the diversity of learners, CNDE requests its lecturers to have a thorough understanding of the students in order to find out proper content and teaching methodologies before giving their lectures. The content of defence and security education must be aligned with practical developments of science, technology, economy, culture, society and students’ majors. At the same time, it is necessary to promote application of information technology and modern equipment to teaching. One hundred per cent of theoretical lessons is prepared in the form of digital lesson plans. Regarding military content, CNDE brings into play its advantages of drill grounds to make the training processes close to realities, thereby enabling the students to comprehend key features of conventional weapons, basic combat techniques and tactics, combat experience, and ways of dealing with situations creatively, laying the foundations for their application to practice. In order to make the lesson more interesting and make the students feel easy and eager to improve their health, individual skills and teamwork, CNDE has flexibly combined military training with simulated games. In fact, the positive teaching methodology has aroused the learners’ interest, stimulated their creative ability, and enabled them to proactively acquire knowledge, making contribution to fostering students’ appropriate learning motivation and enhancing their responsibility for study. To create an environment conducive to education, CNDE has attached importance to combining study with training and stepped up extra-curricular activities. In recent years, 100 per cent of the students has experienced military-like management and training at the centre. Emulation movements and organization of extra-curricular activities such as information update, competition for learning about history and traditions, cultural and sport exchange, etc., have also drawn the attention of the school. In recent times, in each course, CNDE has worked with the 2nd Naval Region Command to propagandize Vietnam’s waters and islands, regarding this as a vital supplement content to develop the students’ love for the waters and islands. Besides, the Department of Student Management has devised many programs and plans suitable for each group of learners and aligned with subject content, including visits to military units, places of historic interest, martyrs’ cemeteries, Vietnamese Heroic Mothers, and so on. Most notably, in 2016, the centre assisted Ho Chi Minh City Youth Union in cooperation with Tho Chu People’s Committee and the 152nd Regiment, 9th Military Region to organize over 1,000 students volunteering to implement the programs “Green Summer 2016” and “Loving Spring 2017” on Tho Chu island. The extra-curricular activities have made the students become enthusiastically involved, practically supporting the delivery of the subject. 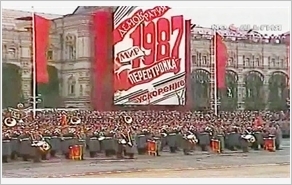 Therefore, in spite of its short time span, when the course comes to an end, the majority of students show clear signs of progress in terms of behaviour, sense of discipline and collective lifestyle, making contribution to heightening their revolutionary ideals and sense and responsibilities of citizens towards the cause of national defence. In order to enhance the quality of defence and security education, CNDE has paid regular attention to ensuring sufficient facilities and steady modernization of teaching devices. It has taken initiative in overcoming hurdles relating to teaching facilities and devices, and speeded up the implementation of projects at the extended stage as approved while actively mobilizing other resources to ensure good operations. Currently, CNDE is being equipped with a 500-seat hall and 15 lecture theatres (including 2 specialized ones) with modern audiovisual aids, a system of training grounds suitable for special features of the subject, 8 indoor training rooms, 12 outdoor drill grounds, an uninterrupted military sports complex, specialized teaching aids such as the MBT03 live fire training systems, section-level virtual shooting ranges, simulated tactical shooting ranges, military equipment, and teaching materials. Furthermore, the Centre has 5 buildings to accommodate up to 3,500 boarding students, 2 dining rooms capable of catering 3,000 people a time, and many other facilities supporting study and activities. Through implementing the aforementioned measures in a synchronous manner, CNDE, VNUHCM has successfully fulfilled its assigned tasks, making practical contribution to building robust all-people national defence, ensuring political security, social order and safety, and cultivating high-quality human resources for the cause of national building and defence in key localities nationwide.